Hiscox Re, the reinsurance division of Bermuda headquartered insurance and reinsurance group Hiscox, has announced a number of key appointments this morning as it continues its efforts to consolidate and grow the reinsurance side of its business. One of those key appointments is a new role of Director of Insurance Linked Securities (ILS). 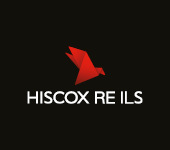 The Director of ILS will be responsible for leading Hiscox’s strategy and planning around ILS. Michael Jedraszak has been appointed to this role and will take on the task of leading the development of Hiscox’s ILS and third-party capital management strategy. He will retain key responsibilities within the International business at Hiscox until a new Head of International is recruited in London. Previously, Michael held the role of Head of Non-Marine Treaty for International and Agriculture at Hiscox’s Syndicate 33 at Lloyd’s of London. Michael has been with Hiscox since 2005, prior to which he spent time as a reinsurance broker with Willis. This appointment is a clear signal that Hiscox intends to become more active in the ILS, and perhaps third-party reinsurance capital management, space. Hiscox recently launched a new collateralized sidecar vehicle, Kiskadee Re, which began underwriting new collateralized business at the recent mid-year renewals. The announcement from Hiscox today also includes some other key reinsurance appointments, as well as the news that Russell Merrett, Head of London Market Reinsurance, will not now return to Hiscox until next May from an extended sabatical.